This is why I come from New York . . . to work with you! I met Darshana in 2017 as I was searching for peace and so desperately trying to get my intuition back! I know that sounds weird, but there so many parts of me that just thought I had “lost it” somwhere in the abyss that was my life at that point in time. After my first session with her (I referred to her as a f’n wizard of magic!!) where she used deep Reiki and energy healing techniques with me, I honestly felt like I had resurfaced. I started manifesting my intentions and my body was feeling in alignment again for the first time in ages! This morning I had a cup of coffee with a very good friend of mine shortly after texting my coach about how I so wanted and needed and was ready to shift out of my old paradigm… I am so done with it! During the coffee, Melinda and I talked about how I felt so “stuck” in my business ... just chasing money and goals (which I totally understand are necessary and yet when out of alignment, they don’t come out without it all feeling so uphill!) and it all felt out of whack. It wasn’t like I didn’t like what I do.. I love it! It felt like doing it w heart wasn’t coming to fruition lately. Today I was loving on my orchid that I never thought would come back to life and smiled because it is blooming so naturally and beautifully. And as I admired it more, I realized that in the past day or two, that I, too, am that orchid as I have gone through my own blooming phase slowly and then suddenly. Meditation and deep work on self compassion and trust and embracing a new future that is full of exponential potential instead of allowing the past to interrupt my new road along with powerful and thoughtful conversations recently have allowed me to realize that I need to honor voice again. “I resolved to finally have a photo session of my own. I decided that it was time to “walk the talk”. 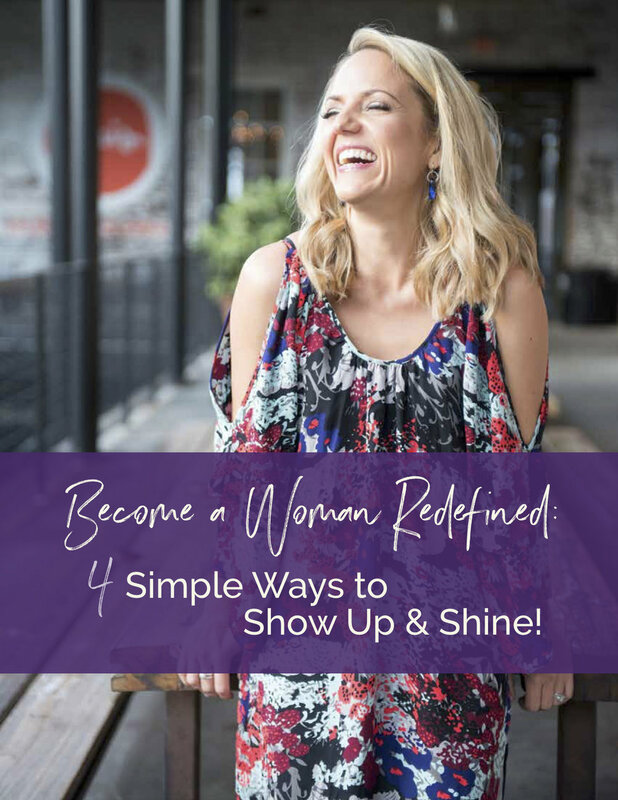 I was always talking about showing up and being seen but I was also the one that was hiding in plain sight. The night before my session, I panicked. I felt super overwhelmed, anxious, scared, and vulnerable. I tried to cancel, but that was not an option. I tried to make sense of my feelings of vulnerability so I could understand why showing up felt so yucky. Why couldn’t I just wave a magic wand and make my anxiety disappear in a puff of smoke? It bugged me, but it made me truly understand the courage and strength the women I work with possess. I see women every day who boldly step through their own fears to start their own business, to get up on stage to speak and find their voice, to have the courage to get in front of the camera like so many have done with me. And although women have always shared their vulnerability and fears with me before they get in front of my camera, I never truly understood it until I was the one being photographed. Being the photographer on the other side of the lens is a much safer place. Yes, I was empathetic to their feelings, but I never really got it until the day I did it myself. That excerpt was written by me almost 5 years ago. And it was eye opening. She was turning 40 in December and wanted to celebrate herself as she worked towards self-acceptance and confidence. She decided that she wanted two sessions - a ‘Celebrate You!’ and a ‘Natural Light Nudes’ photo experience and so we worked to make that happen! We didn’t get a chance to meet for another few weeks but talked several times in between and so when I did finally see her in person, it was as if I knew this woman all along. And what I knew of her long distance was in fact, more than true in real life!